Online triathlon & IRONMAN coaching with a professional, accredited Triathlon Coach with 15 years experience. I am driven by empowering athletes to achieve their sporting challenges. I cater for triathletes aiming to better their performance in Ironman, 70.3 or ITU World Age Group Championships. Combined with athlete feedback, support and video feedback via email or phone I work with every athlete individually to provide a training program that suits their individual needs and goals. I have a passion for Triathlon and performance – I have coached triathletes and runners onto age-group podiums of some of the world’s most illustrious races, and understand what it takes to succeed at any level. I thrive on coaching, motivating and inspiring others to do the same. I offer professional coaching services for triathletes who are passionate about the sport of triathlon. I coach to enable athletes to develop and assist them in achieving their goals in racing, be it local races or ITU Junior, ITU Elite, IRONMAN 70.3 or IRONMAN events or at age group competitions at the national level. These programs are developed following an initial screening where I find out important information about the athlete, such as time available to train, current ability & past performances and future goals. 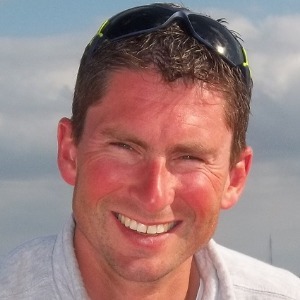 I am a British Triathlon Federation Level 3 Coach. I am also an IRONMAN Certified Coach. I am a Triathlon Australia Performance Coaching Course Candidate. I use a combination of power, heart rate and perceived effort to set intensity for training, but teaching the athlete to listen to their body and pace naturally is an important lesson to pass on. There are three things that I believe are essential to making progress in Triathlon: consistency, recovery and the structure and balance to your training. I believe that everyone is an individual & everyone must do what’s right for them. It’s a relationship. Success. Coach Paul Jones has been notified of your message. To hire Paul Jones as your coach, select the coaching service that is right for you.